It just dang tickles me when y'all ask my thoughts on the latest makeup products. But that demand usually isn't there for hair products (hair stuff isn't as exciting, usually)...until the one I'm talking about today! I've been tagged on Instagram, Snapchat, and messaged on Facebook about this one. So after receiving and thoroughly trying the new Shampyou hair care, I'm ready to share my results. 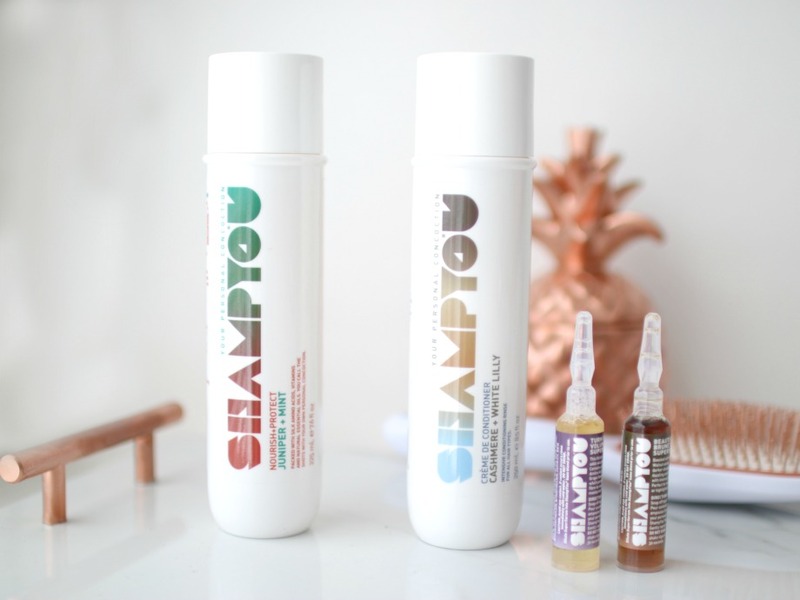 Shampyou is a DIY (design it yourself) customized hair care specifically tailored to fit personal hair care needs. Pour shots into shampoo and shake. Shampoo hair--leave on for a couple of minutes. Rinse out and follow with conditioner. $3.50 per shot. You only need 2 per bottle. I received juniper + mint and beautiful brunette and turn up the volume. I loved the scent of the shampoo, but I would suggest sniffing in person, just in case. I couldn't really tell if my hair was shinier, only because my hair is pretty shiny already. The volume superserum shot WORKED. Big hair over here. What I didn't like--I couldn't get the press open top to open all the way. It was that way for both bottles. The directions say not to over tighten the cap, but I didn't. Overall, it was really a fun concept to try and I loved being able to customize my shampoo. I think next time I'd switch the volume for moisturizing. I really liked it! Have you heard of Shampyou? I have never heard of a make-your-own shampoo but it sounds nice and interesting. I am willing to try it. I am amazed at where technology is, today lol. I think 10$ per bottle is a fair price. How many shampoos you would say you get out of one bottle? This sounds interesting but just for try outs, not for all the time i am guessing. So glad to have you to review all the cool new products! This is a really cool concept! That stinks the bottles are hard to open though. I haven't heard of this, but I like the idea of these and being able to make your own custome product! I wouldn't be happy about the bottle being hard to open lol! This is a really neat concept! Thanks for sharing your thoughts! This is such a fun concept. I really like that you get to pick and customize it and the price isn't bad either! I would want to try the volumizing one because my hair is so flat!!! I am all about Paraben and silicone free these days too. I'm all about customization so this sounds awesome to me. Thanks for the intro Elle! That sounds brilliant! Defo need a volume injection on my strands.. This is so cool! Hair stuff usually is kinda boring, but this definitely isn't. I'm glad it's not too pricey! You would think something like this would be. 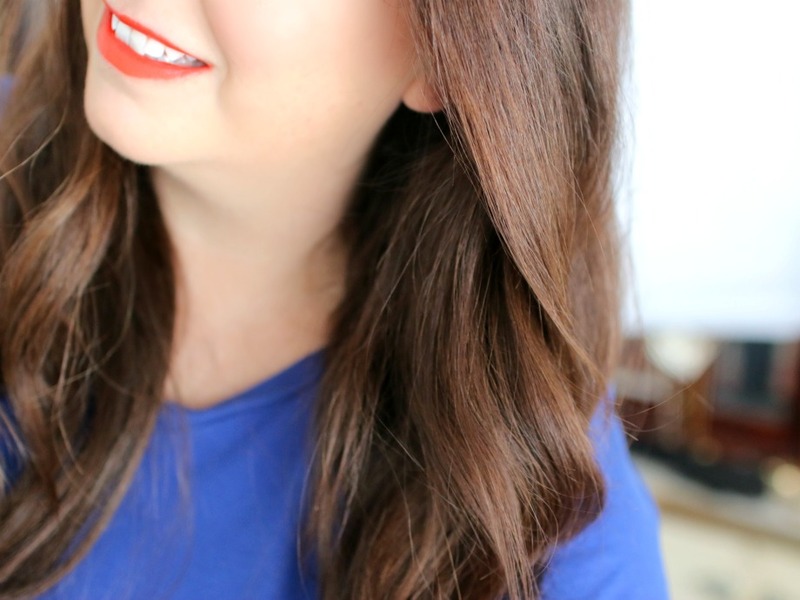 I switch up my hair care every single time I run out of a bottle. I have yet to find "the one." Plus, it's fun to explore my options. Juniper mint sounds like a scent that would be totally up my alley! I'll have to check these out! The packaging is precious too. It's a neat concept! I've seen some DIY type sets in fragrace, but not in hair care. Very cool! The hard to open cap would get on my nerves too. Ooh your hair does look so pretty and shiny! 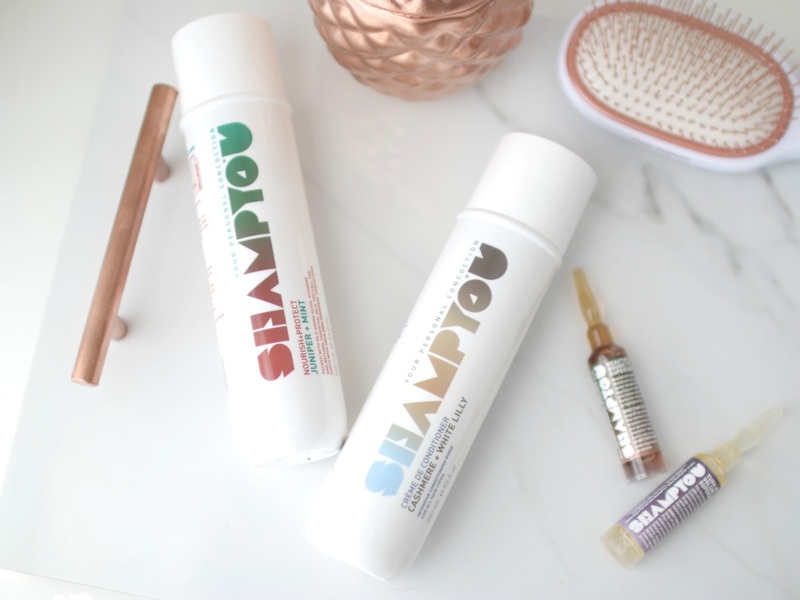 This is a really fun concept, and I love the idea of being able to tailor your shampoo to be exactly what you need!